(GREEK NEWS AGENDA) Athens will host the Special Olympics World Summer Games in 2011. During a press conference held yesterday (December 8), at Zappeion Hall, the Athens 2011 Organising Committee launched “Apollon,” the Games’ mascot, a radiant sun named after the God of Sun in Greek mythology. 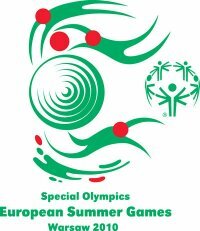 The sun was chosen as “a source of life that underlines the excellence and power of the athletes participating in the Games,” said Ioanna Despotopoulou, President of the 2011 Athens Special Olympics Organising Committee. With the slogan “I AM IN,” “Apollon” invites all people to join the “Wonderful Winning World” of the Games. The launch of the Games’ mascot marks the countdown to the Athens 2011 Special Olympics, a leading sports event to be held from June 25 to July 4, gathering 7,500 athletes from 185 countries.